The proposal, the latest in a series of reforms aiming to respond to growing public pressure, would make it easier for motorists to avoid having their driver’s licenses suspended. This story is a collaboration between ProPublica Illinois and WBEZ. 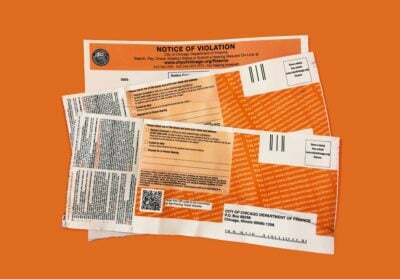 State law allows municipalities to seek license suspensions after drivers have racked up 10 unpaid parking tickets, or five unpaid tickets from red-light or speed cameras. Black motorists from Chicago’s South and West sides bore the brunt of the more than 21,000 license suspensions issued across the state last year, ProPublica Illinois found in March. Burke’s proposal did not go to a vote Tuesday. But it was discussed at length along with a proposal from Alderman Gilbert Villegas introduced last month that would drastically reduce late penalties and create a community service alternative to debt repayment. “I’m glad to see that some of my colleagues are starting to come around,” he added. City Council elections will be held in February. A spokesman for Mayor Rahm Emanuel’s office did not respond to a request for comment Tuesday. Officials from the Finance Department, which oversees much of the city’s ticketing and debt collection program, said they had not reviewed Burke’s proposal and were unable to comment. The proposal from Burke is similar to legislation that passed the state Senate but stalled in the House this year and has been championed by the nonprofit Chicago Jobs Council. The city of Chicago, which relies on the threat of suspending licenses to get motorists to pay their tickets, was the bill’s biggest opponent. Both the legislation and Burke’s proposal would give drivers threatened with license suspension the right to ask for a hearing to show that they can’t afford to pay their debt. Depending on their income, motorists would pay between 0.5 percent and 5 percent of their average monthly income toward their ticket debt for up to five years. The down payment to enroll in a city payment plan would be eliminated. Currently, Chicago drivers with substantial ticket debt must pay up to $1,000 just to get on the city’s most lenient payment plans. Many drivers can’t afford the down payment and file for no-money-down bankruptcies instead. At Tuesday’s hearing, Eric Halvorson, the policy and communications associate for the Jobs Council, told aldermen that license suspensions are an impediment for poor people to obtain jobs and get to work. In recent years, several states have rethought laws that suspend driver’s licenses over debt, sometimes in response to lawsuits or the threat of litigation. Last month, for example, a federal judge ruled that Tennessee must stop suspending driver’s licenses over traffic fines without first considering motorists’ ability to pay. There has been no such litigation filed in Illinois. Jacie Zolna, a Chicago lawyer who has sued the city on several occasions over ticketing, said he has been studying the possibility of filing a lawsuit over license suspensions. Zolna, who successfully sued Chicago in a multimillion-dollar class action over the city’s red-light cameras, said he’s heard from “literally thousands of people” who have lost their licenses or have been threatened with suspension over ticket debt. Some States No Longer Suspend Driver’s Licenses for Unpaid Fines. Will Illinois Join Them? Our analysis shows suspensions tied to ticket debt disproportionately affect motorists in largely black sections of Chicago and its suburbs. The proposal would cap late penalties and create community service alternatives to some fines. A cash-strapped city employs punitive measures to collect from cash-strapped black residents — and lawyers benefit. Zolna is currently suing the city in an ongoing case alleging its steep financial penalties violate state law. In its response, the city has cited its home-rule authority, among other matters, to defend the fines. 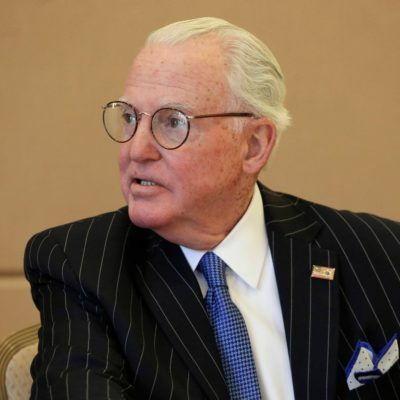 Burke cited as inspiration for his measure a recent proposal from City Clerk Anna Valencia that’s aimed at helping low-income motorists come into compliance with a city requirement to purchase an annual vehicle sticker. Her proposal, which would create four-month stickers at a prorated price, is intended to reduce the volume of $200 tickets issued for noncompliance. Valencia’s proposal was triggered by a ProPublica Illinois and WBEZ investigation that found significant disparities in where sticker citations are issued, with neighborhoods that are predominantly black getting hit the hardest. Meanwhile, the city’s Law Department has proposed significant debt relief for motorists who file for bankruptcy under Chapter 7. The move is intended to reduce the number of motorists who file under Chapter 13, a lengthy process that frequently ends without any debt relief. Chapter 7 bankruptcy is nearly always successful. Both Valencia’s and the Law Department’s proposals will be voted on Wednesday as part of the 2019 city budget. Community groups that have been calling for an overhaul of the Chicago’s ticketing system for months said they are glad to see traction on the issue but they called on the city to do more. Parent leaders from Community Organizing and Family Issues spoke on the issue Tuesday; one woman described having to take out a loan to pay off her tickets. Tracy Occomy Crowder, the group’s senior organizer, said the city could bring in more money by making payment plans more affordable. WBEZ reporter Claudia Morell contributed to this report.